Equity research firm Edison has strengthened its institutional marketing and corporate access offering with a new hire in the form of Nicky Stewart, who brings 20 years’ experience on the sell side and in institutional sales. 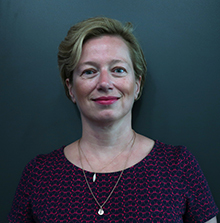 She joins the London-headquartered firm from Capital Access Group, where she advised listed companies, including FTSE 350 firms and small caps, on their IR strategies. Stewart, who takes up the position of director of institutional marketing at Edison, joins the firm at a time of uncertainty and change in research and corporate access, as a result of the mammoth Mifid II regulation introduced across Europe at the start of 2018. Here she talks all things Mifid II with IR Magazine. With more than six months having passed since the implementation of Mifid II, what changes have you see so far? It has been a difficult picture to read, partly due to Q1 trial periods being in place, when fund managers continued to receive research free of charge and it was business as usual. The overall picture seems to be that the number of research providers used by the buy side is falling, though many funds are still able to access reasonable levels of equity research due to the aggressively low pricing levels set by some market leaders. But it is the personal relationships that have been affected by Mifid II, with the level of incoming broker calls to fund managers falling, particularly at the smaller end, where managers are telling us that broker calls are now a rare occurrence. There is also widely conflicting commentary on the overall cost of service, with one fund paying 60 percent less than last year, but spread among the same number of brokers. Another large asset manager has maintained payment levels but trimmed its broker list. Elsewhere, a mid-sized investor in small-cap equities with a global remit has needed to double its payments to secure sufficient coverage. How do you expect the corporate access and research landscape to change in the coming 12 months? And how much of that change do you see as being a direct result of Mifid II? The sell side’s bundled commission model has been upended because of the directive, although structurally driven falls in commission rates over the past decade and – more recently – the growth of passive vs active funds have also contributed to pressure on secondary trading revenue. We are hearing of a trickle of redundancies occurring across the industry but until we see how brokers fare through their reporting season over the next six to 18 months, any squeeze as a direct consequence of Mifid II is not yet clear. US investment banks are reporting Q2 results presently, but have provided few clues. The trends will take time to work through the system, as brokers adapt their P&Ls to the new demand levels. Service-pricing menus are varied and complex. It is likely over the medium term that we will see consolidation around corporate client lists, with listed companies gravitating toward brokers with the widest distribution capabilities and most-valued analysts, or filling the gaps with independents. This could result in M&A activity on the sell side and also on the buy side as some of the smaller independent fund managers grapple with an increased fixed cost base. The role of IR teams will also likely evolve with a need for larger budgets, as brokers retrench from cross-subsidizing unprofitable business. In some instances, IROs may need to increase budgets and take a more active role in managing their contact with investors. The role of some independent strategic IR firms and research providers will become increasingly important, as they have unrestricted distribution to the buy side and retail markets. How will these changes affect consensus? There has always been a dichotomy, depending on market capitalization. Small caps have always struggled for coverage and have seen little change since Mifid II, remaining reliant on their broker and independent research providers. At the large-cap end, however, there are instances of brokers withdrawing from coverage of single stocks and dropping coverage of entire sector verticals. Consensus forecasts are increasingly moving behind paywalls as a result of Mifid II and IR teams are no longer going to be able to rely on consensus published on systems such as Bloomberg. As a result, I expect IR teams will take more control of their consensus management, publishing forecasts and developing richer content for their corporate website, which will become a key destination source of information for investors. To what extent do you think corporates and, more specifically, IR teams are prepared for the changes ahead? What should they be doing on a practical level to better insulate themselves, or take advantage of, coming changes around corporate access and research? IR teams have generally been well prepared, given the lead-up time to Mifid II implementation. They have also been seeking advice from a wider range of advisers, including independent firms like Edison. IROs need to continue monitoring the situation and asking questions. IR teams are also more open-minded and excited about the future than ever – their role has never been bigger, they have more responsibilities and will, in all likelihood, need higher budgets to ensure their investment message is heard. Mifid II is providing the opportunity for IROs to develop a more innovative approach to their role and to engage directly with investors, rather than being reliant on the traditional gatekeeper routes to market. A lot of discussion around Mifid II is quite negative in terms of the strain a reduced sell side is expected to put on smaller companies. What do you see as the positive side of the regulation? Clearly, market transparency for the underlying investor is the key positive aim of the regulation. What it is triggering, however, is a breakdown in the traditional relationship between the buy side and the sell side, with the emphasis now on a unified marketing and communications strategy, rather than the focus being simply on securing trading commission. A cull in the quantity of maintenance research is no bad thing and we may even see a return to deeper, fundamental research and a focus on longer-term, industry thematic analysis. Corporates will certainly benefit by being more involved in their messaging through independent research and corporate access advisers, and by engaging more directly in educating investors rather than only relying on the incumbent to relay their narrative.